Flea, of Red Hot Chili Peppers. Joey Waronker, of Beck and R.E.M. Mauro Refosco, of Forro in the Dark. Nigel Godrich, of Ultraista, and considered the “sixth member” of Radiohead. 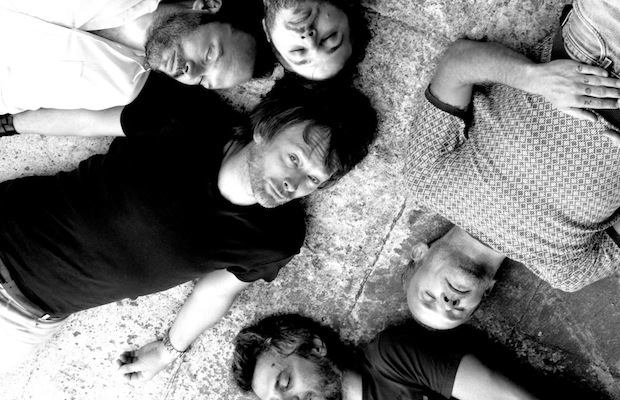 These are the five gentlemen who make up supergroup Atoms for Peace, a band that started as a way to bring Yorke’s solo album, Eraser, to life, but has morphed into something much more whole with the release of this year’s Amok. As we told you many months ago, Atoms for Peace are set to perform TONIGHT at Nashville’s own War Memorial Auditorium– a venue considerably more intimate than anywhere you could ever hope to see Yorke or Flea perform with their respective main bands. Astoundingly, there are a very limited amount of tickets still available for purchase right here. If you don’t buy yours immediately, someone else will. This is a once-in-a-lifetime experience to see a supergroup whose tour schedule is already very, very limited in a downright incredible setting. Don’t miss out! Atoms for Peace will perform TONIGHT at War Memorial Auditorium. The show is all ages, begins at at 8 p.m., and tickets are available for $47.50.